Health Care Executive; Civic & Social Organization; Ophthalmology; Efficiency Business Models; Overhead Reduction; customer service, legislative drafting, non profit administration, ophthalmic technical, FDA rules and regulations, interpretation. Medical, technical quality assurance, policy, health care education, public speaking, strategic planning, business finance, marketing, editorial services. 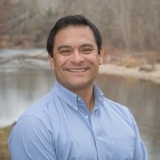 Jay Lugo is a Health Care Executive specializing in Ophthalmology, Certified Ophthalmic Technician, Certified Eye Banking Technician, and is American Board of Opticians Certified. Jay serves as the current Director of the Idaho Lions Sight and Hearing Foundation since 1994 and was elected to serve as District Governor for the Lions Club Organization for the 2015 to 2016 term. He is responsible for the day-to-day operations of the following divisions: Idaho Lions Eye Bank, Lions Mobile Health Screening Unit, Financial Grant Assistance Provider for the Blind and Deaf, Hearing Aid Bank, Idaho Lions Diabetes Awareness Program , and Idaho Lions Eye Glass Recycling Program. He is also chiefly responsible for the transactional and sustainable fund raising, giving national conferences as the company's public speaker on various topics from Organ Donation to Fundraising. Jay is a passionate humanitarian dedicated to impacting sight, hearing, and health and serving the under served. He has helped thousands of vision and hearing impaired individuals in his state and is excited to launch his most recent project to the Boise Community through a free vision clinic and also in always staying relevant and ahead of the trend on new procedures and treatments for the blind.